Lake Country 5 1/4” Low Lint No Interface Wool Pads are made with a knitted prewashed lambswool which is attached by knitting it onto a very durable synthetic backing to increase performance as well as flexibility and durability on rotary buffers, gear driven DA polisher and all other dual action polishers including the popular long throw DA polishers. A substantial amount of time and testing went into the design of the Lake Country 5 1/4” Low Lint No Interface Wool Pads to determine the ideal wool pile height and weight to achieve peak efficiency and incredible results in cutting, polishing and even finishing. 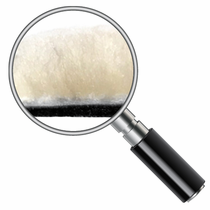 The Lake Country Low Lint No Interface Wool Pad is perfect for heavy cutting and compounding but may also be used as a one-step when removing tough oxidation on Gelcoats. The advanced technology low lint 1/2” 100% knitted lambswool offers durability and results in a plush and much higher density wool pad. To take your finish to the next level of finishing, pair with Lake Country SDO 5 ½ Inch Foam Polishing and Finishing Pads. 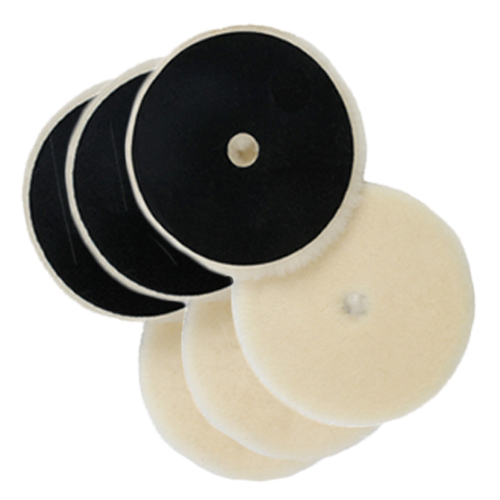 During Use: Dislodge buildup of compounds quickly and easily from your Lake Country 5.25” Low Lint No Interface Wool Pads with a wool pad cleaning spur often during use. After Use: Wash your pads immediately after use while the polish and compound is fresh for easier cleanup. 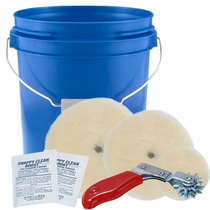 Use Snappy Clean Boost™ Pad Cleaning Powder in 3 to 4 gallons of water to release compound and polish from your Lake Country Low Lint No Interface Wool Pads without residue. Soak for 10 to 15 minutes, agitate by hand or use a pad washer and rinse thoroughly with clean water.